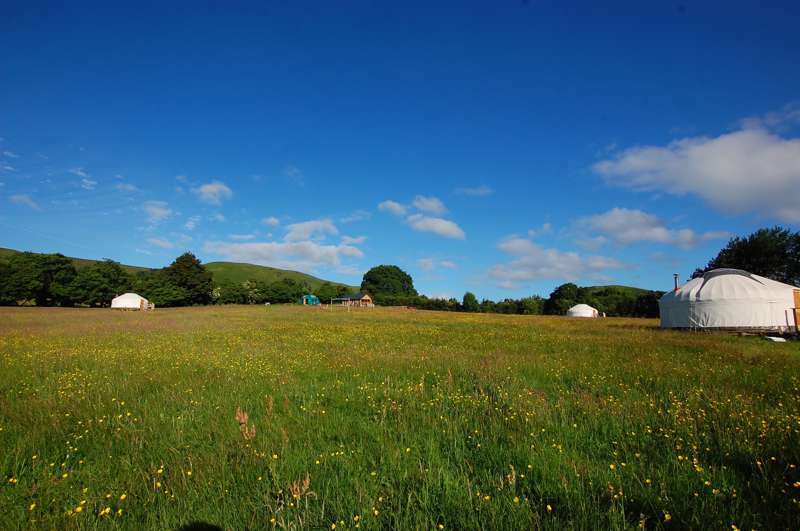 We stayed two nights in the Seren yurt in mid June. 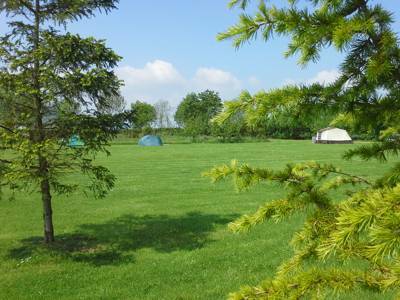 We were most impressed with the tranquil setting of the site and its lush woodland surroundings. 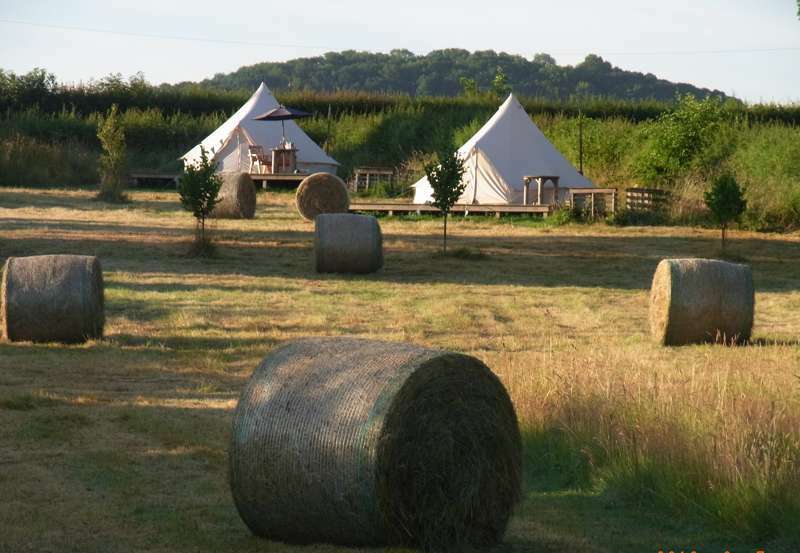 We had our two girls with us aged 2 and 5 and they had a wonderful time exploring and playing in the stream, and that was after they'd got over the excitement of staying in the fabulous yurt! 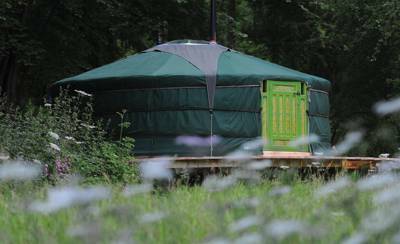 The yurt was simply but beautifully furnished and was clean and spacious. We needed the thick down duvet that weekend as our visit was just before the heatwave and it did cool down at night, though not enough to light the wood burning stove. 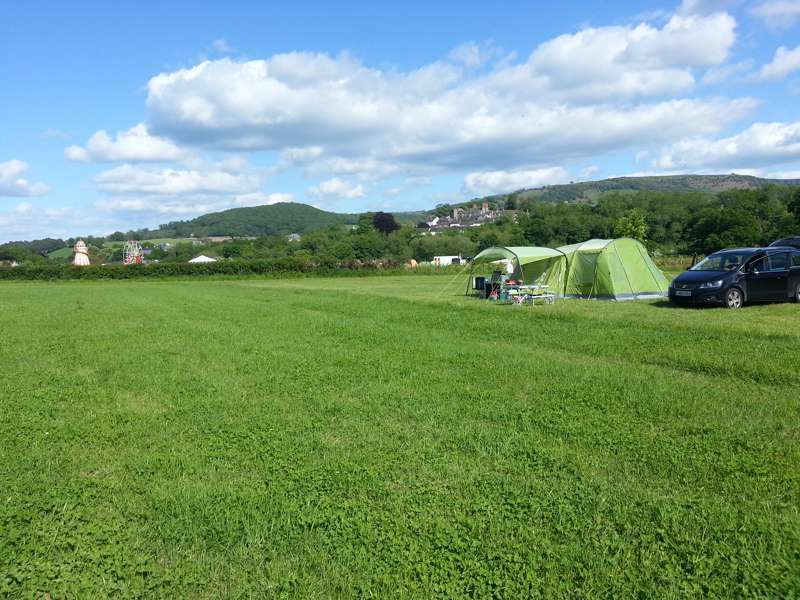 We made full use of the excellent and well stocked camp kitchen and the BBQ set up. The self-composting toilet was clean and smell-free and the shower was a real luxury. As regular "normal" campers we really appreciated the extra touches of luxury at Redwood Valley, it made it a very special experience. Finally, the host David was very friendly and helpful and made us feel very much at home for our short stay. Overall, a really joyous experience and one we will remember for a long time to come. 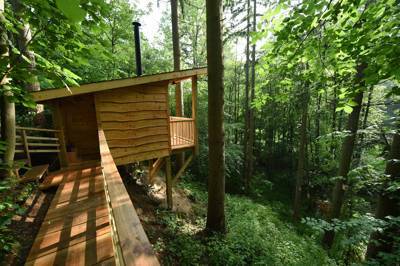 The valley is in a stunning well-kept bit of woodland along the Norton Brook stream that also divides England and Wales it is surrounded in the broader context by about 2 million sheep (rough estimate) and a very beautiful landscape. John, who is the host, is very helpful and welcoming. He lives nearby and is happy to help with any camping issues. Together with his brother he really has created a special (camping) place with great attention of detail! 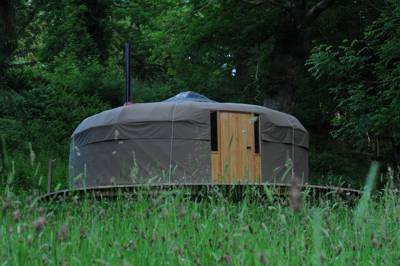 The Yurts are beautiful and very comfortable - easy for a family of 5 to stay overnight, and easy to keep warm with the wood burner inside. 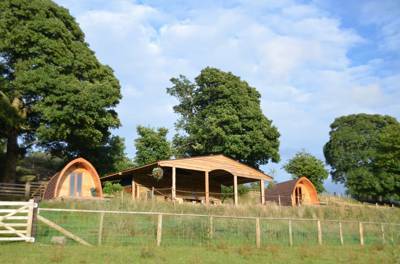 The yurts are equipped with power sockets; hairdryer and a spring water tap outside. 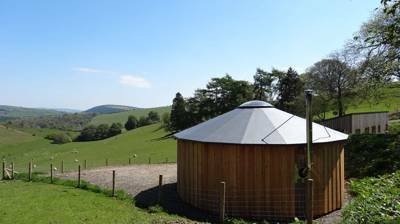 There are stunning views across the valley from the yurt. The overall site is very quiet and shielded from any potential car noise. 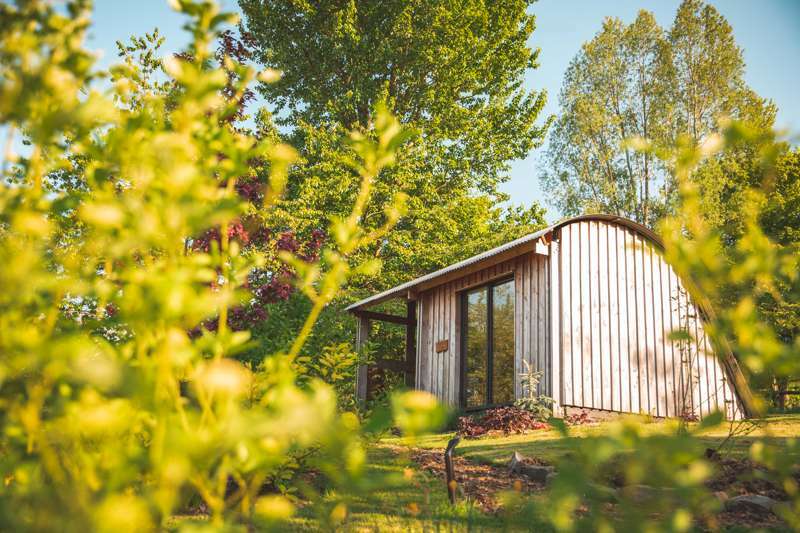 The shared kitchen is a pleasure to cook in and to look out over the valley; the kitchen is fully equipped with a microwave, toaster, fridge hob, etc. There is space for about 8 people to sit comfortably around a longish table. 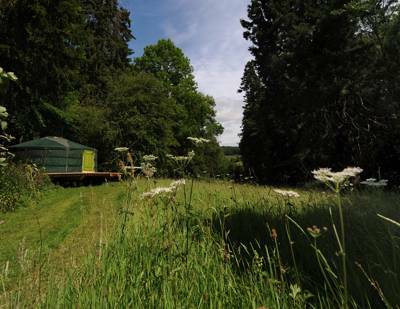 Each yurt has its own designated cooking and food storage place. Adjacent to the kitchen, the shower has a good supply of (constant!!) hot water, the timber shower space is very clean and nicely designed. Soap and shampoo is provided. The outside loo, a composting toilet, is also clean and tidy. We have a lovely memory of relaxing, walking around the woodland, playing with the water stream, visiting the nearby waterfall and enjoying the campfire. We absolutely love the Redwood valley! We visited at the beginning of April with three kids (8,6,3). – Already planning the next visit…. This was fantastic!! 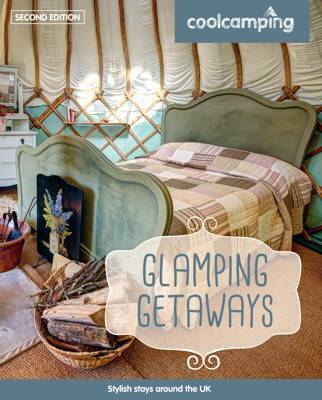 We had never stayed in a yurt but as seasoned campers we thought it would be luxury- it was!! The yurt had everything we needed and was warm and comfy with the stove lit. The site was beautiful and the facilities were far better than I imagined. You really can't smell the toilet and who needs hot water in the loo anyway!! There is some work to be done in terms of paths and ground drainage but it's all under control. I can't forget to mention the kitchen facilities which were also amazing and even in November it was lovely cooking outdoors. Sharing with the other yurt was not a problem and made a nice friendly site. There were also loads of exciting finds in the grounds that I will not reveal as it will ruin the surprise. Fun for everyone!! We'd love to go back in the summer. Shhhhh....! Keep this one Secret !